WILLEMSTAD – The government is finally giving signals that it will not tolerate incorrect situations. It was recently announced that there are about 72 inactive civil servants, of which a group is chronically ill, but who are receiving a regular salary each month. This is against the National Ordinance Civil Servants (LMA), which states that their salary should be reduced. 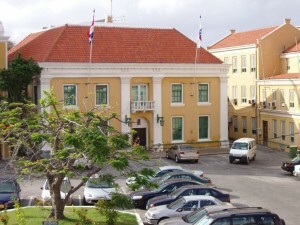 The Council of Ministers in their weekly meeting has decided to authorize Minister Etienne van der Horst of Administration, Planning and Government Service, to cut in the salary of those civil servants who have been inactive for a long period of time now. At the end of March, 14 government employees will see their salary reduced to what they are actually supposed to get according to the LMA. Last week, the Minister declared that there are 72 inactive civil servants, which caused uproar in the community. Citizens were asking why the government is not taking measures against these government employees. This decision fits into the austerity measures the government is taking to improve the financial situation and the economy of the island. The Minister will first deal with the 14 civil servants who suffer from illnesses, which impedes them from working. Some of them will see their salary reduced by 10% and others by 20%, depending on how long they have been inactive. Some of these employees have been inactive since 2005 and others since 2009, but have been receiving their salaries every month.